If you haven’t heard of the term ‘fat fingers’ before, I’d like to take a moment to reassure you that this article won’t be passing any judgement on the general size and appearance of your fingers. That would be kind of weird and a little rude. No, ‘fat fingers’ is actually a term used to describe clumsy or inaccurate typing. In the mobile advertising world, the use of the term is adapted slightly to describe accidental clicks on mobile banner ads. I’m sure we’ve all done it; it’s that moment when you touch the screen to surf the web, use social media, play a game, or carry out any other type of online activity, and an unwanted advert appears. It’s kind of annoying, but generally harmless enough to the user who simply backtracks to the page they were on previously, but for the advertiser, these accidental, or sometimes fraudulent clicks, are costing large amounts of money. Advertisers use a form of measurement called clickthrough rates to determine the success of a mobile advertising campaign. If you are unfamiliar with the term, the clickthrough rate is a ratio that shows how often people who see your ad end up clicking on it. The clickthrough rate is calculated by the number of clicks that your ad received, divided by the number of times your ad is shown (impressions). This is expressed as a percentage (clicks divided by impressions = clickthrough rate). 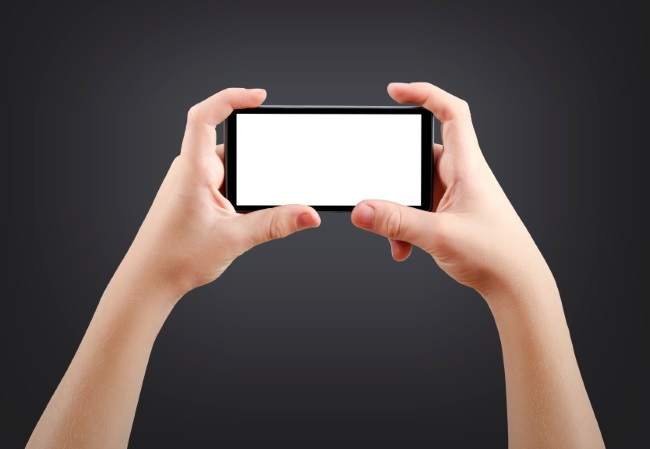 When a mobile user clicks on an ad, the advertiser is charged a fee for the click. If ads are clicked on by accident, the advertiser is not only charged for the mistake, but also doesn’t benefit from the click of an uninterested party. To put the problem of ‘fat fingers’ into perspective, GoldSpot Media, a digital ad management platform for online and mobile advertising created a report following the analysis of millions of static and rich banner impressions for campaigns delivered via the GoldSpot ad platform. According to their ‘fat finger’ report (who knew such a report existed?) up to 50% of the impressions served on a static mobile banner ad are from accidental clicks or ‘fat finger’ taps (classed as accidental if people have viewed the ad for two seconds or less). For advertisers, this means that clickthrough rates are driven down from initial findings. On the bright side, (yes, there is one) actual clickthrough rates tend to be significantly higher on mobile devices than they do on the desktop web, so the big question, really, is what can advertisers do about the problem? Well, there are a number of steps that can be taken to promote clicks from interested parties and to reduce the fat finger problem. I like to call these solutions ‘Fat Finger Phase Outs’. Fat Finger Phase Out 1: Google claim that most accidental clicks on app image ads happen at the outer edges of the ad, so by altering the creative design of the advert accidental interactions may be less frequent. Google AdMob recently announced a mobile banner offering called Confirmed Clicks. With Confirmed Clicks, if you tap on an ad by accident, you will be prompted to confirm your intention. Fat Finger Phase Out 2: Advertisers can also filter unintentional interactions by setting a minimum interaction time threshold. Most people who accidently interact with a mobile ad will backtrack fairly quickly, so by timing the length of interactions, advertisers can discount those that fall below a certain duration. Fat Finger Phase Out 3: Native ads (a form of paid media where the ad experience follows the natural form and function of the user experience in which it’s placed) can also reduce ‘fat finger’ errors. By following a set of guidelines including text-based disclosure markers such as ‘Ad’, ‘Sponsored’, ‘Promoted By’ as well as visual cues to distinguish the native ad from the rest of the content, native ads can gain user’s trust and encourage clicks from parties who are more likely to be interested in what the advert is offering. The ‘fat finger’ issue is a big one. Clickthrough rates should not be an indicator of success for any mobile advertising campaign without careful consideration of the effect of ‘fat fingers’. With new data, options and technology available to advertisers the problem can definitely be minimised. This entry was posted in Observations & Answers, Uncategorized on April 25, 2016 by First Directory.